Home › Energy-Efficient LED Lighting › Byb Super Bright Led Headlamp Flashlight With 2 Red Lights Steady For Preserv..
Byb Super Bright Led Headlamp Flashlight With 2 Red Lights Steady For Preserv.. Newly Polyester Fabric Handband Design Our headband is made up of Polyester Fabric Very comfortable for wearing, durable for using and it keeps an excellentstretch ability It can be repeatedly stretched more than 10000 times without deformation So you do never worry about the headband would be out of shape Optimal Combination of Lightweight, Comfort, Brightness & Best for Hands Free! 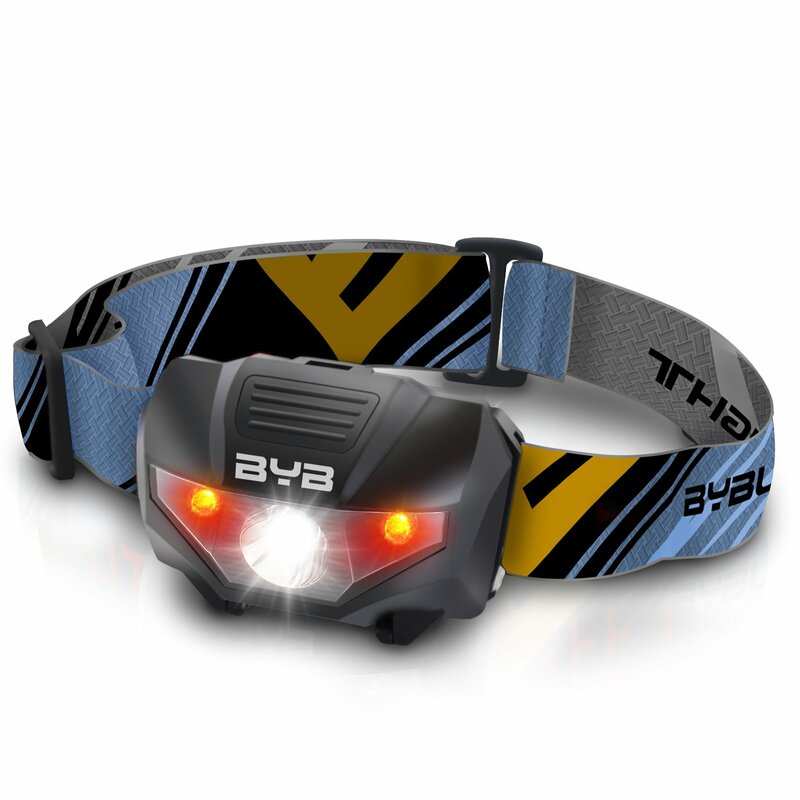 The Headlamp is a tool that does exactly what you need it to do. It built with the comfortable head strap, don't be surprised if you evenforget you're wearing it. The handy illumination tool lets you work in dark or dimly lit areas, lights your way during a late night stroll, or helps visibility while hunting for wood when camping, hiking, and cycling. And best of all, it keeps your hands free. Whether you're working under the hood or holding a book comfortably in bed Multifunctional, Adjustable, Easy to use The Robust Design of E-0461 is perfect for general use like camping,hiking Backpacking and Climbing! 45adjustable angles to suit your needs Lighting your pathway according to your need by adjusting the different angles Pressing the top button can activate the unit's dimmer option 1st click is high light 2nd clicks is low light 3rd clicks is RED LIGHT SOLID 4th clicks is 2 blinking red light & primary blinking white light Power AAA battery(NOT INCLUDED) NOTE:Pressing down on the plastic "buckle" after installing the batteries, and then it would stay firmly closed and tighten the batteries!